Archive from category "Celebrity Hair Trends"
Kim Kardashian has finally joined the pink side. On February 25th 2018, Kim Kardashian, 37, stepped out with pink hair, much like her little sister Kylie Jenner, who rocked pink hair back in October 2016. Kim Kardashian’s hair colour choice may seem like a new trend, but pink hair has been a popular choice among celebrities for decades. From singers like Katy Perry and Lady GaGa, to actresses like Dame Helen Mirren and Rachel McAdams. 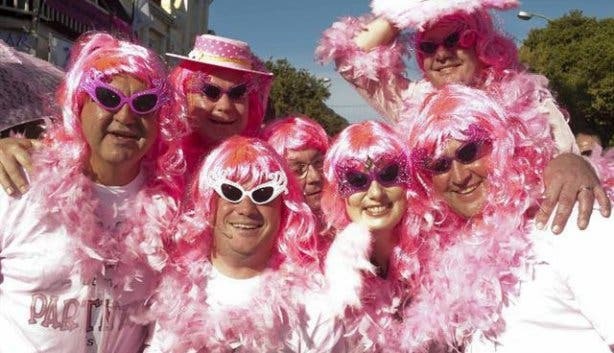 In fact pink hair was reported as early as 1914! Of course Kim Kardashian’s new colour will see a new wave of clients requesting pink hair in the salon and others doing DIY pink hair at home. Why did Kim Kardashian want pink hair? Kim Kardashian’s colourist Chris Appleton shares his formula. Appleton said on his Instagram: “For all you wanting to know how we got the pink formula, I used Manic Panic mixed with conditioner. The conditioner dilutes the Manic Panic so we could achieve a perfect pink! The key to this look is getting the right pink for your skin tone. Try coloured pink sprays before you commit.” Manic Panic High-Voltage Classic Cream Formula Hair Colour ($14; manicpanic.com), are easy-to-use dyes that come in a wide range of shades, including a few different pink options. Since the shade can be hard to maintain, Appleton says to avoid over-shampooing your hair. “Don’t wash your hair as often, and try using a texture spray the day you would normally wash it to keep it fresh,” he says. Also, use your hot tools sparingly, and on a lower temperature setting so that the heat doesn’t strip the color. Along with turning the heat down on your styling tools, Papnikolas recommends rinsing your hair with cool water to preserve the pigment, too.